The author tests out a trendy new treatment. In a nondescript building off of Argonne Road in Spokane Valley is a machine that creates temperatures of negative 250 Fahrenheit, colder than any place on Earth. A person died in a machine like this last year. I'm about to remove most of my clothing and step inside. Cryotherapy has arrived in the Inland Northwest. It's a trendy new treatment that takes ice baths and other cold therapies –– which have been used for decades by athletes to reduce inflammation, swelling and injury while speeding recovery time – to an extreme new level, engulfing the user in a mist of unnaturally cold vapor from liquid nitrogen in a booth-like machine called a "cryosauna." NBA stars LeBron James and Kobe Bryant are among the athletes who use it. Professional sports teams have dabbled with it. Some, including the Kansas City Royals and Denver Broncos, turn to it regularly. 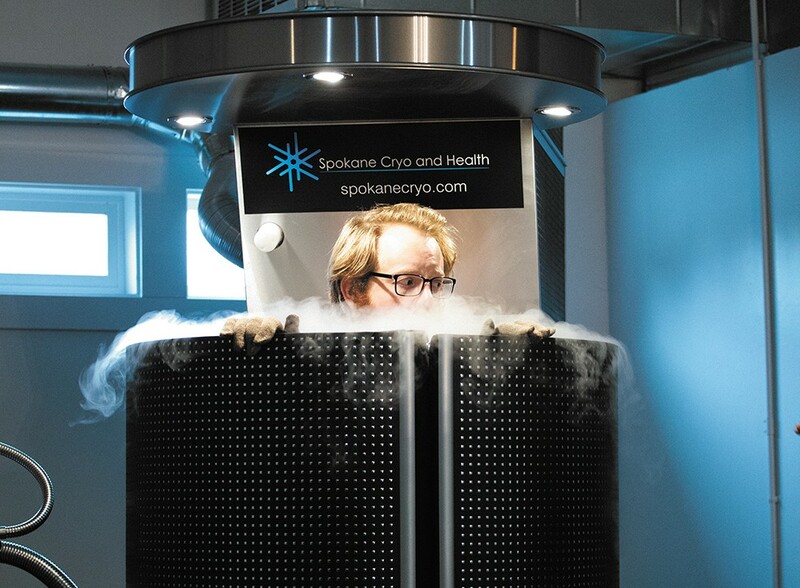 "After a couple treatments you feel like you can run through walls," says Patrick Gannon, the owner of Spokane Cryo and Health, which recently began offering cryotherapy. "It's wild." Gannon says that undergoing extreme cold triggers the body's flight-or-fight responses, sending blood to joints and vital organs, while releasing dopamine, hormones and proteins that are a boon to athletes. It helps with arthritis and inflammation, he says, and it even burns calories and slows aging. But the treatment is virtually unregulated. It's blamed for injury and one death. It's caused alarm with a Canadian health agency. Although its supporters say it's on the cutting edge of health care, the science surrounding it is far from settled. After signing a waiver and paying the first-time discounted rate of $35, I'm led to a room that smells like a gym which contains the cryosauna, an imposing, black tube-shaped booth that's taller than 7 feet and looks ready to blast into space. In a changing room, I slip into a robe, a pair of cotton socks, plastic slippers and wool gloves. I've read that wearing damp clothing into one of these machines can cause frostbite, and I give my clothes another pat-down for any sign of wetness. "You're fine," Gannon reassures me. As we watch the temperature on the cryosauna's digital display count down to unearthly temperatures, I feel slightly nervous that my innards will be chilled to a fleshy snow cone. Gannon wears a wide grin under his Seattle Seahawks hat, as if he's about to let me in on some juicy secret. I step in and remove the robe. Gannon hits buttons on the cryosauna's control panel, filling the tube with a vapor that embraces my flesh. I'm cold, but it doesn't seem like negative-250-degree cold. It just feels like I've gone for a bike ride wearing shorts in December. My three-minute session goes by quicker than I think it will. I put the robe back on and step out. I feel chilled, but I don't feel the urge to run to my car and blast the heat. The chronic ache in my back is gone. I can feel the warm blood flowing back into my veins. It feels like an alien presence. Gannon, a 31-year-old fitness enthusiast who runs 30 miles a week and competes in Ironman competitions, first heard about cryotherapy on sports commentator Joe Rogan's podcast. "I have to have this machine," Gannon recalls thinking after flying to Los Angeles to try it for himself. "There's gotta be one in Spokane." In October, days after after purchasing his cryosauna, news broke that a woman in Henderson, Nevada, had died in the same machine. According to media reports, 24-year-old Chelsea Ake-Salvacion worked at a spa offering the therapy and stayed late to give herself a session. Her body was found frozen the next day, raising new concerns about the safety of cryotherapy. Emilia Kuehne — the co-founder of Cryohealthcare Inc., which has sold 150 of the $50,000 cryosaunas nationwide since 2009 – says that since the treatment was developed in Japan in the 1970s, it's only caused one death. In response, her company's cryosaunas have been designed to shut down automatically after three minutes. The door is now sealed with magnets and would open against the weight of a body. And the controls are on the other side of the door, making it impossible to operate alone. Although concerned by the death, Gannon remains a believer in the therapy and opened his spa in January. The coroner's report determined that Ake-Salvacion died from a lack of oxygen, not the cold, and Gannon stresses that clients keep their head above the vapor-filled tube. "It was user error," says Gannon, who insists that all sessions be supervised by a technician. "You cannot do this by yourself." But there are still dangers from the therapy. A Texas woman is suing a company after receiving third-degree burns she claims were caused by a wet glove she wore into the spa. Cryotherapy also remains almost completely unregulated, meaning no one makes sure the equipment is running safely and the technicians are trained. The U.S. Food and Drug Administration hasn't approved the therapy for medical use, and Health Canada issued a warning last year about the safety of cryosaunas. The science concerning its benefits isn't conclusive. 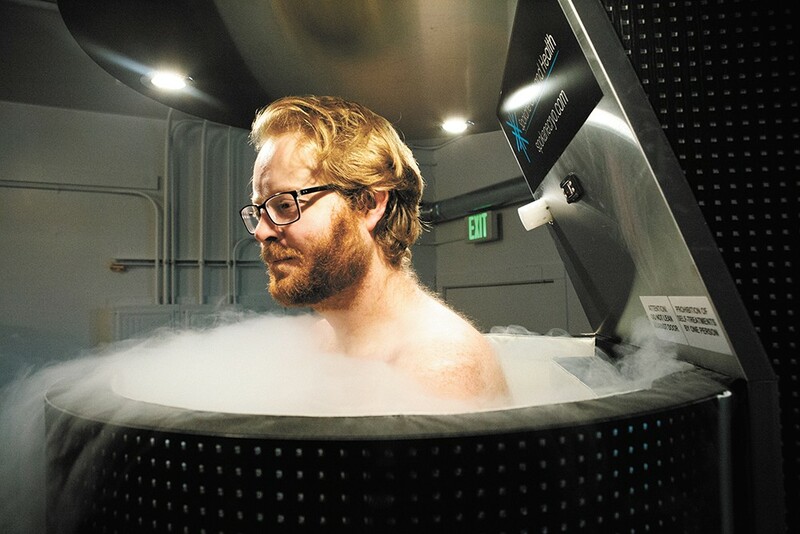 While some research has suggested that cryotherapy has some medical benefits, such as treating fibromyalgia, a string of studies released in recent years question its effectiveness in treating arthritis and reducing muscle soreness and other ailments. One study suggested that plain old ice worked just as well for muscle pain. Another noted that "the best prescription of [cryotherapy] and its safety are not known." But Kuehne says interest is growing, and her company now offers "cryo rooms" that evenly distribute the cold in the user's body. Besides, says Gannon, people do other things for their health that come with a host of side effects.